The Cover 4 will feature a number of writers to cover a variety of topics. This article is by our very own Bru General Peppers, Sports Activist. Original? Nay, but this is the NFL we’re talking about here, where originality is looked at with the same disdain as undersized quarterbacks and SEC skill players with “character issues”. We’ve reached the half way point of the NFL Season and it’s time to make presumptions based on a few facts and a whole lot of redundant opinions. I’m psyched. While everyone else fawns over Matt Ryan, Big Ben has quietly carried the Steelers to a 4-3 record despite injuries that have kept Troy Palomalu out of nearly every game, James Harrison out of half of them, 4/5ths of his offensive line seeing injury at some point, and his three top running backs missing various amounts of time. He’s Top 5 in QB Rating, Top 10 in Yards and Touchdowns, and is doing so with a patchwork offensive unit. He is single-handedly carrying a banged up Steelers squad to a top unit in the AFC. He’s the most under-rated player in the NFL and it’s not even close. Kurt Angle once won a gold medal with a broken neck. True story. What does this have to do with Peyton Manning? Nothing, really. I just love relaying Kurt Angle facts where I can. Peyton Manning is going to win the AFC with a surgically repaired neck and he’s going to make it look easy. Let me say what everyone’s been thinking, “When did white guys take over the defensive side of the ball”. Between Jared Allen, Clay Matthews, Justin Smith, and now J.J Watt, the astigmatism towards Caucasian defensive players has been blown out of the window. You could switch this award with Offensive Player of the Year and I’d be ok with it. What Adrian Peterson has done is beyond amazing; recovering from an ACL Injury with a normal recovery time of 10 months in only 4 months is a feat in itself, but coming back at full strength with no signs of debilitation is an evolutionary miracle. He’s no longer AD; from now on we’re calling him Wolverine. This has alot to do with my Mike Holmgren Worst Coach of the Year Award Selection(Spoilers: It’s Andy Reid) but 15 turnovers in 7 games is hard for any coach to deal with. He’s got a sub 80 passer rating, sub 60% completion percentage, and isn’t even running well. He’s cost the Eagles at least 3 games this season. Let’s say you worked as a manager at McDonalds and your boss told you “if you don’t increase the amount of money your store makes, then you’re fired.” Let’s say you had the ability to bring back the McRib and you just decided “Screw it, we’re good without it.” Andy Reid is the McDonald’s manager and LeSean McCoy is the McRib. Andy Reid is doing such a bad job with so much talent that I he bumped Norv Turner from his 5 year winning streak. That’s impressive. If you are like me and 99% of the rest of America then you love Honey Boo Boo. You also watched Hard Knocks and thought, “Man, this team has literally nobody I know.” They’re currently leading the AFC East with a rookie QB, no Vontae Davis, and three wideouts who can’t ride certain rollercoasters at Six Flags due to height demands. Robert Griffin is the more flashy of the two but Andrew Luck has done more with less and is carrying a winning record to boot. 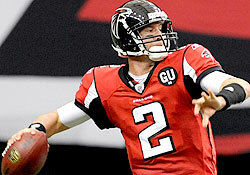 He’s been flat out amazing while throwing 42 times a game, a record for rookie quarterbacks. This is the same team that went 1-15 last year, and frankly, he’s the only thing that’s changed. If this team ends up with 7 wins he should get MVP nods because the Colts stink. I have never been more wrong in my life. I thought the Giants would fall off and not even make the playoffs. I thought the loss of Jacobs and Manningham would crush this offense. I thought the injuries would catch up to them, but nothing phases these guys. They can run. They can pass. They can rush the passer and stop the run. They’re the best road team we’ve ever seen. They can win shootouts(See Giants/Bucs) or they can win tough defensive battles. Barring major injury this team will be in the NFC Title Game. Congratulations A.J Smith, you’ve now won this award for 7 years straight! Since Norv Turner showed up, the San Diego Chargers have gotten progressively worse each year. The vaunted rushing game? Dead. Philip Rivers ascent to elite? Dead. The Elite Scoring Defense? Dead. Vincent Jackson, LT, Merriman? Gone. They’re losing to the Browns 7-6 and giving up 35 points in a half to a guy with half a neck. They don’t draft well, they don’t do the little things well, they don’t do…well…anything well. When the Steelers win the next 4 games and sit at 8-3 and the Giants continue stomping everything in their path, you’ll hear more and more about this matchup. Who doesn’t like NFL Predictions?! It is still early but looks as though I will be missing on a few of these but only time will tell. After finishing 8-8 for the first three weeks of the season, I went 12-3 & 11-3 respectfully; 61% accuracy at this point in the season. Enough of the backstory- LETS GET TO THE PICKS! Analysis: The Titans defense is just atrocious and, as a result, the Steelers offense will have their way with them. Expect a lot of points scored from the Steelers. Chris Johnson may be able to get on tract if the Titans can run the ball up the middle against the less than Steeler Curtain Steeler D. Steelers a near .500 without Troy Polamalu in the lineup. Key Players: Steelers Defense. If this unit doesn’t get it together, the Steelers may be in for a long season. Fantasy Pick: Mike Wallace. Expect a big game from Wallace after one of the worst performances of his career last week (and as a result I lost a fantasy league by one point- COMON MAN!). Analysis: The Falcons are clicking on offense and defense right now. Matt Ryan looks as though he is taking that extra step to join a class of great quarterbacks (I won’t throw around ELITE as everyone else does). The Raiders just dont have the weapons on defense to hang with Jones, White, Tony G & Turner. Key Player: Darren McFadden. McFadden is the key to these teams success. He MUST have a solid D against a suspect run D for the Raiders to have any shot in this game. Analysis: Cleveland may squeak out its first win of the season this week but, in a close one, Bengals get a W.
Key Player: Brandon Weeden. He has improved each week but he must show why the Browns chose him in the first round (way too soon by the way.). Analysis: Which Dolphin team comes to out to play? Dolphins must establish a run game and get Reggie in the flow for their teams success. Key Players: Janoris Jenkins. Rams & Dolphins receiving cores; someone must show up. Jenkins is playing lights out right now and proving why he was a top 10 talent. Analysis: I want to take the Jets but I think their struggles continue. Key Player: Who else other than Mark Sanchez? Fantasy Pick: Colts defense because we know Sanchez will give them some points! Analysis: The Lions have looked so up and down this year but so have the Eagles. I can see the Lions taking care of business in Philadelphia but the Lions can’t establish a run game. Key Player: Michael Vick. 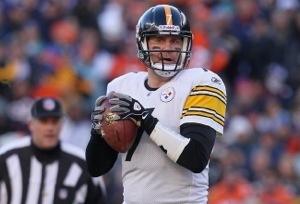 Will he continue his streak of turnovers or will he turn the corner and get back to the Mike Vick we know? Analysis: The Buccaneers are a talented team and have an offense that can create matchup problems. Josh Freeman’s performance has on the decline but with more weapons surrounding him can he put it together? Chiefs defense must step up so this game doesn’t get out of hand. Key Player: Brady Quinn, hands down! Fantasy Pick: Jamal Charles continues his hot streak. Analysis: I’m very high on this Ravens team. They have been competitive each of the past few seasons but have been unable to make it to the Super Bowl or win when it matters. Joe Flacco has a number of regular season wins but doesn’t have the playoff record for those wins to hold weight. As for Tony Romo, well, I’m not a fan. I believe he has terrible footwork and can’t do much with a tough pass rush in his face. The Cowboys have so much wasted talent at wide receiver, tight end and running back with Romo playing the way he is. Key Player: TONY ROMO. Inconsistent quarterback play is the common theme here. Fantasy Pick: Ray Rice has a great day in Baltimore. Analysis: Seattle D is playing tough right now, especially at home. The Seahawks pass defense is shutting down top receivers so this matchup will be much closer than most think. The Patriots are starting to click again, which is scary for everyone. Key Player: New England Tight Ends. If Gronk is playing, he needs to prove his hip injury isn’t an issue and if Hernandez is healthy, he must step up as he is a game changer and mismatch anytime he is on the field. Fantasy Pick: Beast Mode- Marshawn Lynch. Analysis: I’m not a believer in the 4-1 Cardinals. I am, however, a believer in the Buffalo Bills. I like this teams chances as I picked them early to win a wild card position. The Bills have weapons on offense and finally added pieces on defense to make this team a legitimate contender. Key Players: The Cardinals Offensive Line. Did anyone watch the horrible Rams Cardinals game on Thursday Night Football? The Rams were rushing three against six and still getting to Kolb; this unit is absolutely abysmal. Fantasy Pick: Larry Fitzgerald, the only player who can still put up ELITE numbers on an awful team. Analysis: The 49ers are once again putting it together. Harbaugh and crew are still angry from last years bitter loss. The Giants offense is looking awesome right now; the offensive players are lighting up fantasy scoreboards each week. Key Player: Alex Smith. If he can continue his efficiency the 49ers will keep scoring Ws. Minnesota Vikings @ Washington Redskins. Analysis: RGIII doesn’t look like a rookie and is creating a ton of excitement in Washington. The Vikings are flying under the radar right now. Key Player: Adrian Peterson. Peterson is coming along very nicely after a terrible knee injury last year. He must continue his productive season for the Vikings to win this game. Fantasy Pick: RGIII. He is a dual threat! Why not? Analysis: The Texans look unbelievable right now. Arian is Fostering the People week in and week out but will this team continue its hot streak? The Packers don’t look like last years team despite Coach McCarthy saying this is his best team in years. I think this is going to be a great game for everyone to watch this weekend. The Packers are coming off a TERRIBLE loss to the Colts. Houston lost Brian Cushing. Rough Week for both teams. Key Player: Alex Green. The Packers running back is an unknown unless your fantasy team is weak at running back and you needed a wavier wire pickup. He showed a few flashes last week but Green must get going or the Packers will be one dimensional once again. Fantasy Pick: Arian Foster. Once again he shows why he is one of the most complete backs in the NFL. Analysis: The Broncos have played teams close each game of the season (or close in the fourth quarter that is). Manning and crew are looking as advertised and Demaryius Thomas is carry all of my fantasy teams! I’m not high on the 3-2 Chargers as they really haven’t beat any good teams this year (Raiders, Titans & Chiefs) and lost to the Saints last week. Key Players: Ryan Matthews. I am VERY high on Matthews and his potential despite being hurt and in the doghouse for the past few years. Matthews put up solid numbers last year despite giving up goal line carries to Tolbert. Matthews had a nice week running and catching passes despite not playing much during the beginning of the game. Fantasy Pick: Demaryius Thomas. The 24 year old, 6’3” 229 lb wide receiver is a monster out there. Despite a lack of end zone targets, the receiver is putting up monster numbers each week. Phew. Well hope you enjoyed my predictions and analysis. Come back each and every week for more insight!